Last month, when Tropical Storm Gordon was drawing near our home in the Florida Panhandle, we went shopping for a few additional flashlights and happened upon the AR-Tech LED Flashlight + Lantern by Life Gear. We bought two, and they have turned out to be great additions to our boating adventure kit. Lightweight and battery friendly, the AR-Tech is packed with useful features. 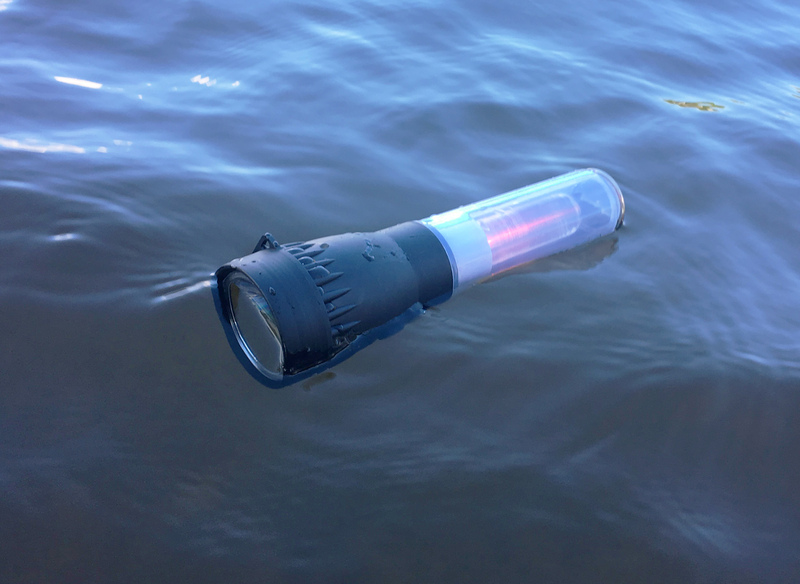 If the flashlight gets dropped overboard, it will float and automatically start flashing the red light in its handle. The flashlight is 7.8″ long and weighs in at a very light 6.25 oz. The body of the flashlight is water resistant and impact-rated for a drop from 1 meter. A flange on the front end keeps the flashlight from rolling and has two holes for a lanyard. The flashlight’s LED puts out 100 lumens, sufficient illumination for walking our dock and shoreline, or to find items in and around our boat. The beam will also illuminate objects 50′ away and can be seen from several hundred yards. The inner workings, removed by unscrewing the flashlight’s bezel, hold three AA batteries. The two bright dots on the black housing are the electrical contacts that activate the red flashing light when submerged. Holding the flashlight under a bathtub’s shower didn’t activate the red light, but If it does happen to go on, pushing the button turns the light off. The flashlight and lantern use energy-efficient Light-Emitting Diode (LED) technology, and three AA batteries provide 20 hours of lighting. After one hour, the light will automatically turn off to help conserve battery life. The AR-Tech won’t sink, floats horizontally, and rides half out of the water if dropped into the drink. If the flashlight goes overboard at night, it will be easy to find. Two electrical contacts sense the contact with water and automatically turn on the red flasher with water contact. This function could be a lifesaver in a capsize, leading the rescuers to a swimmer. For our adventures in small boats, we need lightweight, multifunctional gear. The AR-Tech flashlight has a price that comes under $11, including batteries, and helps us see and be seen. Audrey and Kent Lewis maintain a fleet of small boats and enjoy messing about in the Florida Panhandle’s bays and bayous. They chronicle their adventures on their blog. 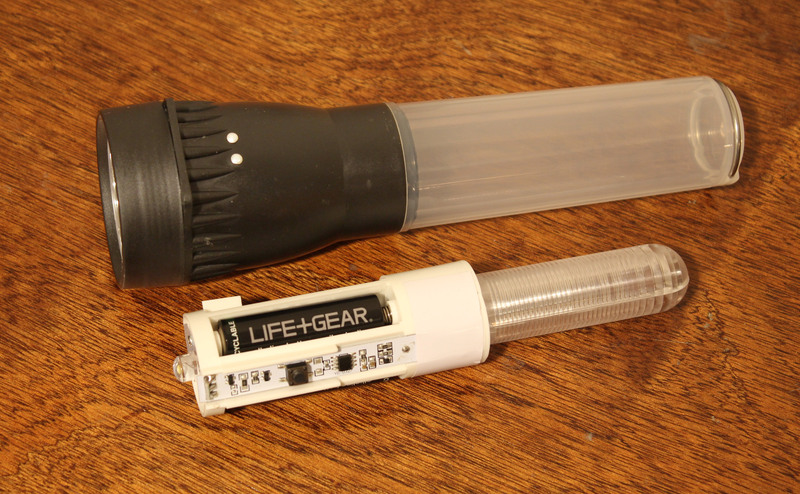 The AR-Tech Flashlight + Lantern is sold at many major retailers, and can also be ordered directly from Life Gear. 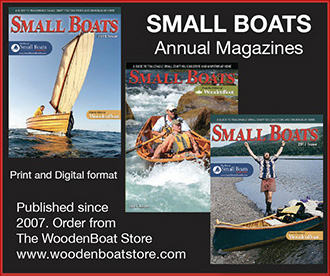 Is there a product that might be useful for boatbuilding, cruising or shore-side camping that you’d like us to review? Please email your suggestions.